Rhododendron hybrid in the Goodell Heritage Garden. 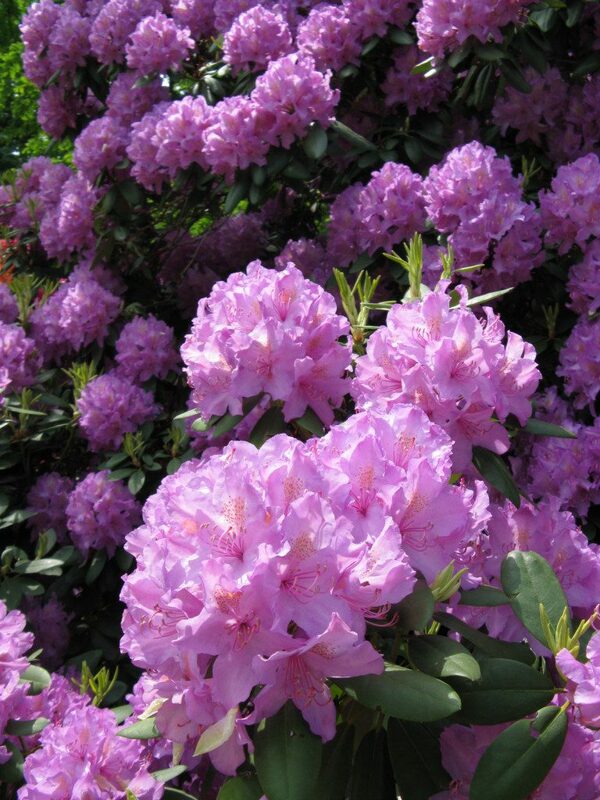 The Goodell sisters planted both Azaleas and Rhododendron in earnest from 1948-1955. The extensive collection also includes native Great Laurel, Rhododendron maximum, planted by the sisters in the 1920s. This species, used in early hybridizations to bring cold hardiness into the popular “Iron-clad” Rhododendrons of the early 1900’s, blooms in early July, much later than the Mid-May to June bloom dates of the other Heritage Garden hybrids.